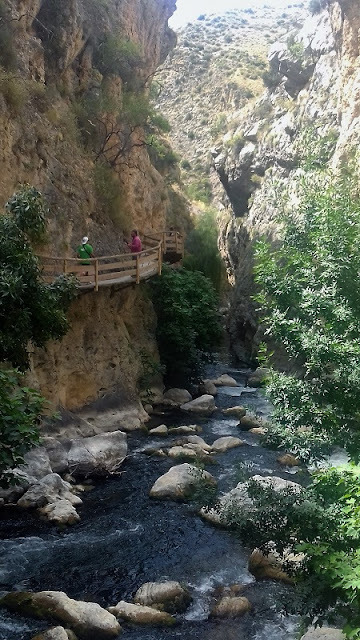 The beautiful La Cerrada walkway in Castril, Granada is a 2.1 km circular route where the river tumbles and flows beside the path which at times is suspended on the rock wall and others at river level. With plenty of foliage and shade it's a delightful stroll. The town of Castril itself is also very picturesque.